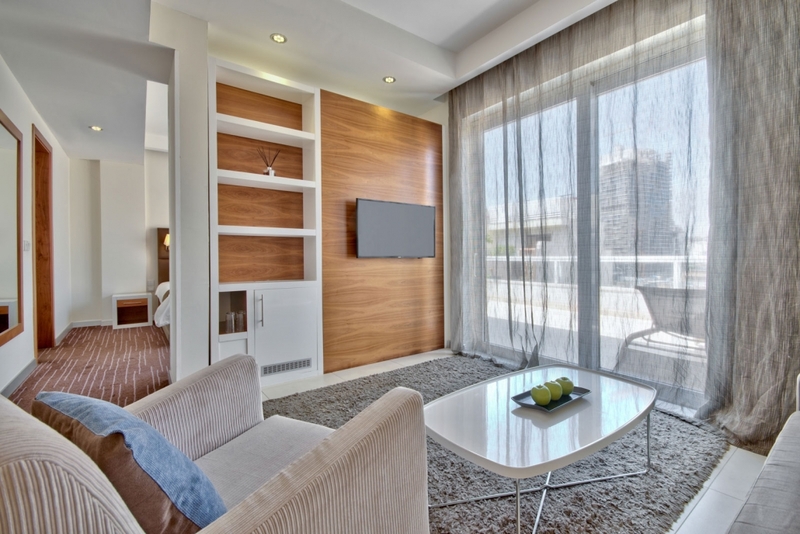 Our penthouse suites come with a choice of twin or queen size beds, your own sitting room area and a wonderful 15 square metres terrace perfect for private sunbathing and enjoying the evenings with a glass of wine. 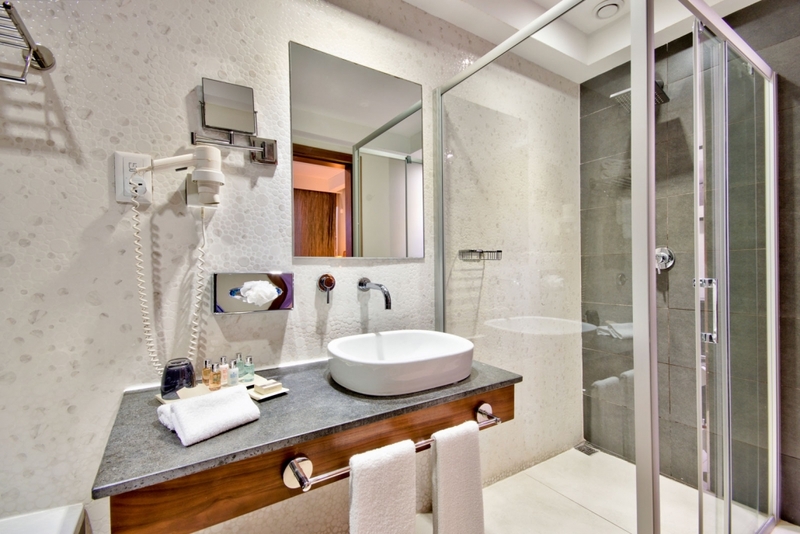 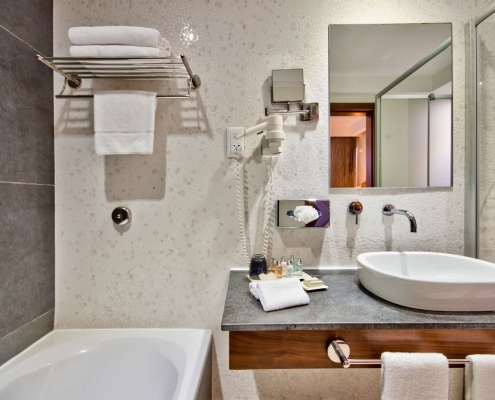 Enjoy a bath or walk-in shower with eco-friendly amenities and relax while watching a movie on our 40″ HD LED screens. 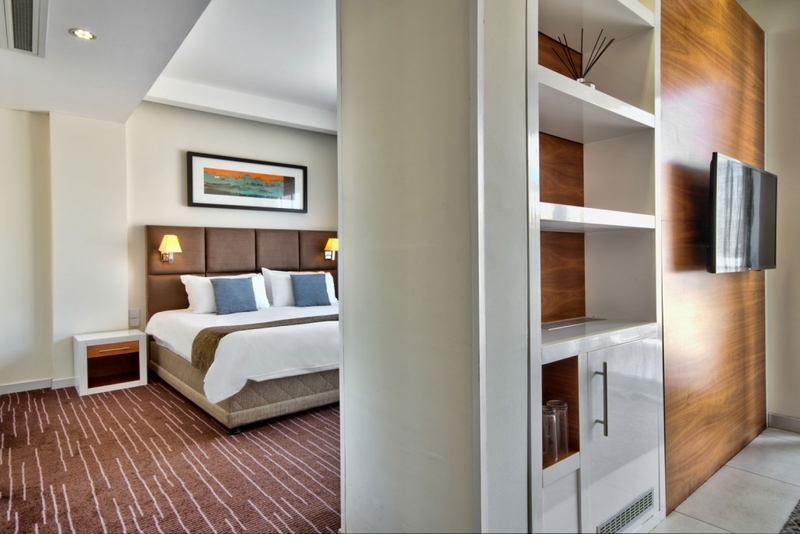 We recommend this room for: Spoil yourself with our best rooms. 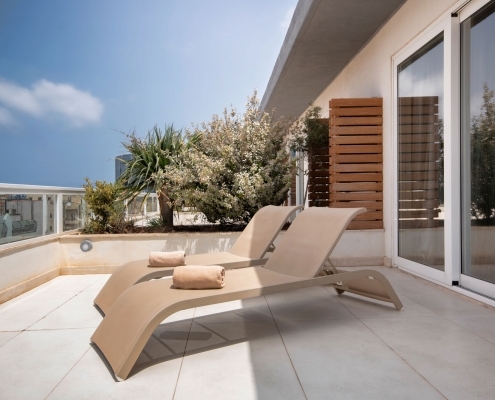 prefect for private sunbathing. 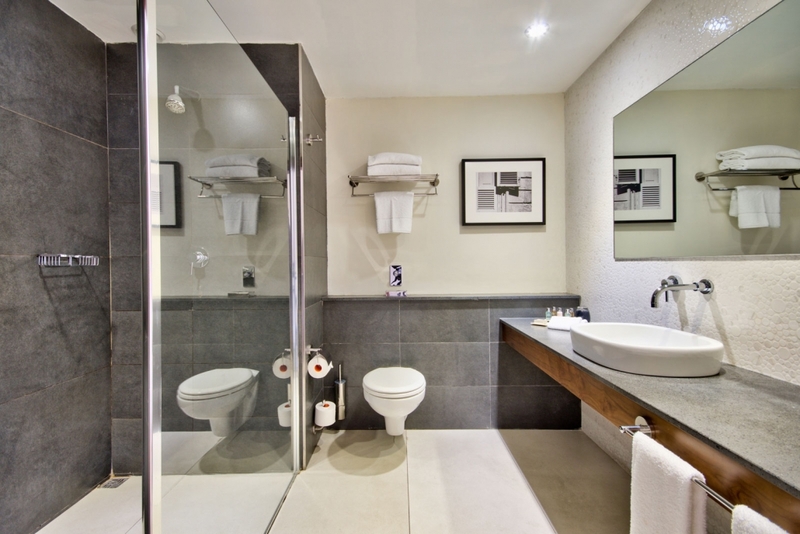 For more images of this room, please view the penthouse suites set on our Flickr page. 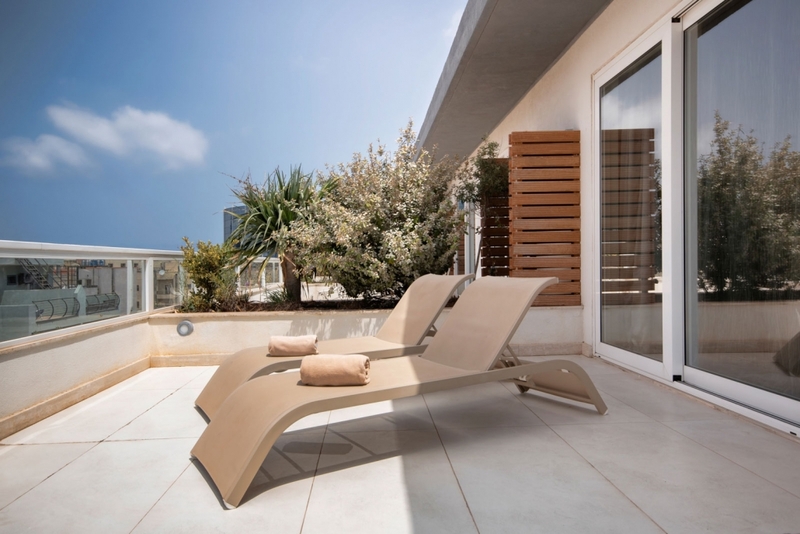 Unwind and relax on your living room’s comfy sofa or outdoors making the most of the Mediterranean sun and sea breeze. 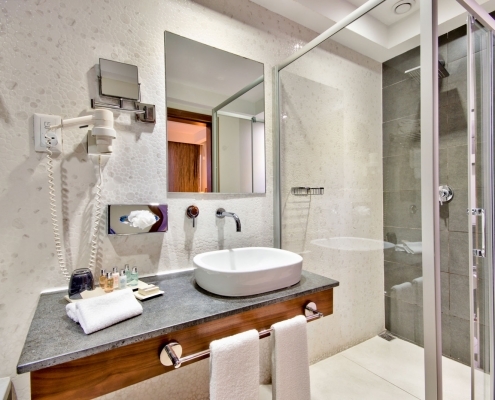 Enjoy a bath or walk-in shower with Molton Brown amenities. 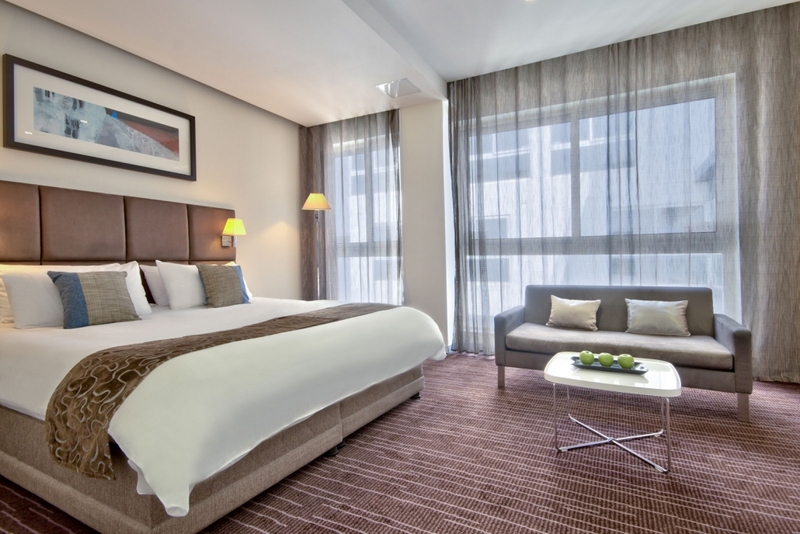 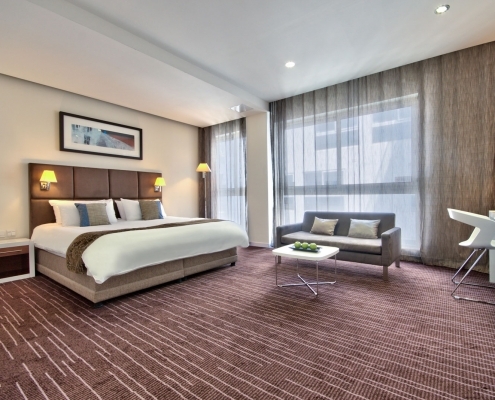 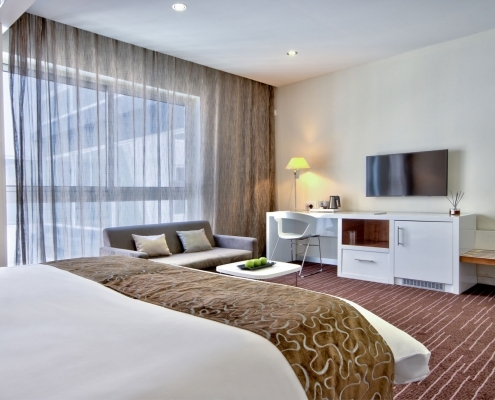 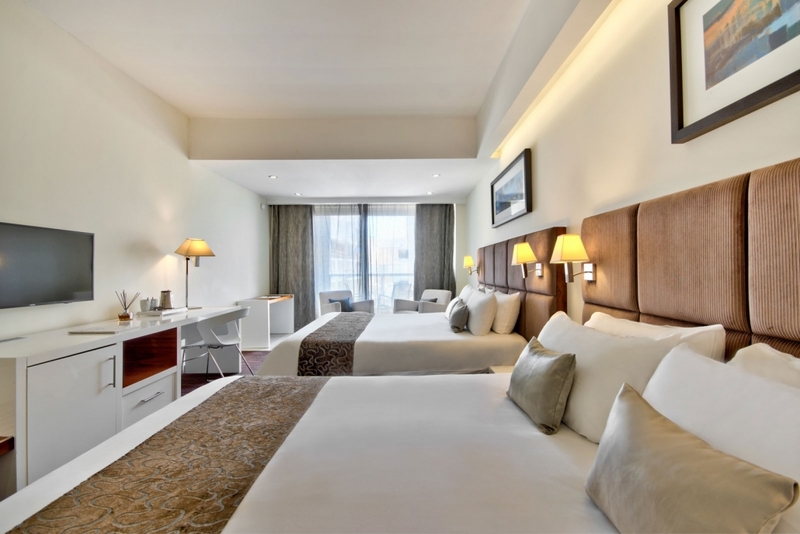 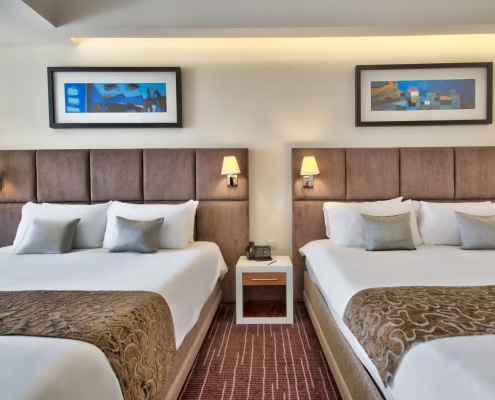 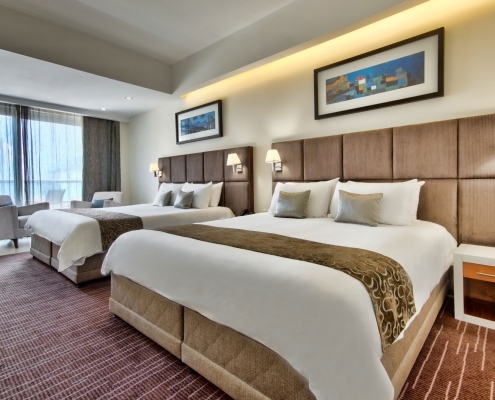 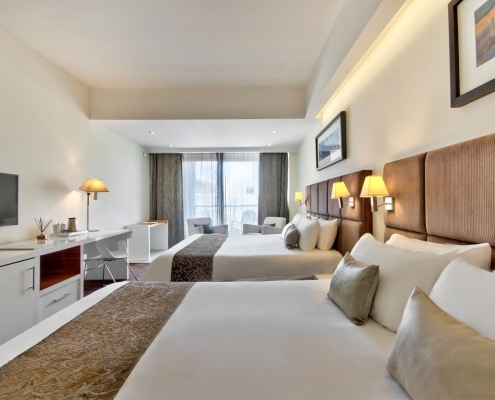 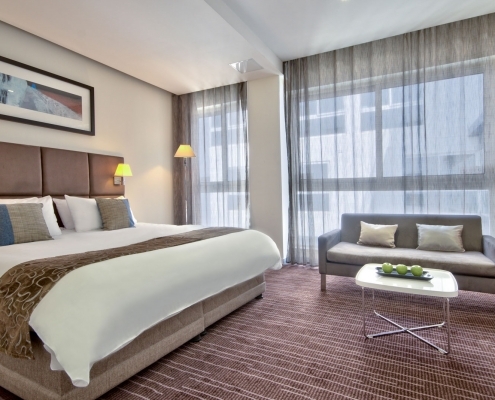 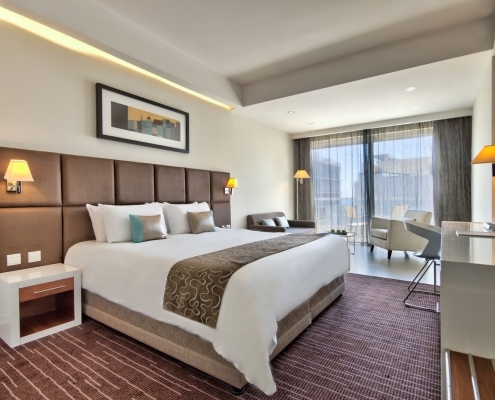 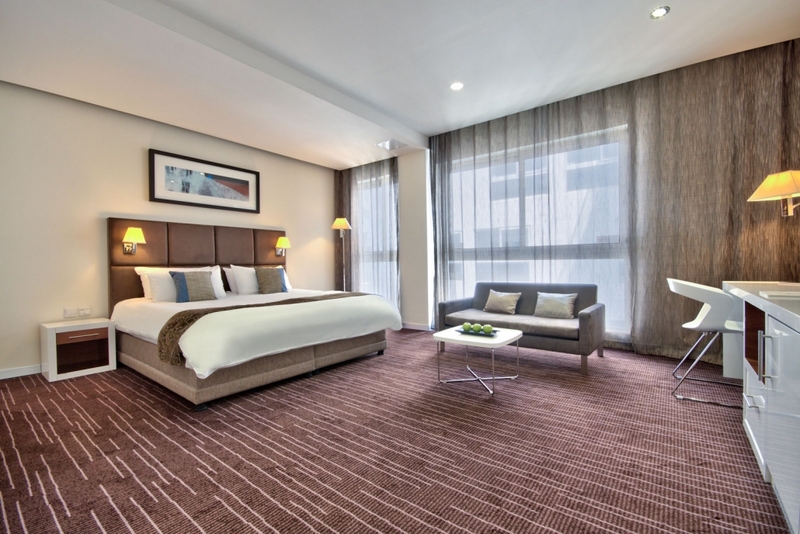 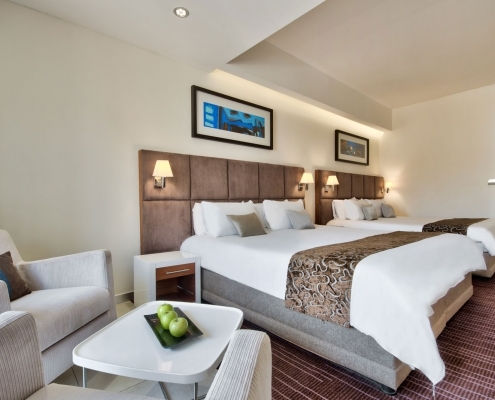 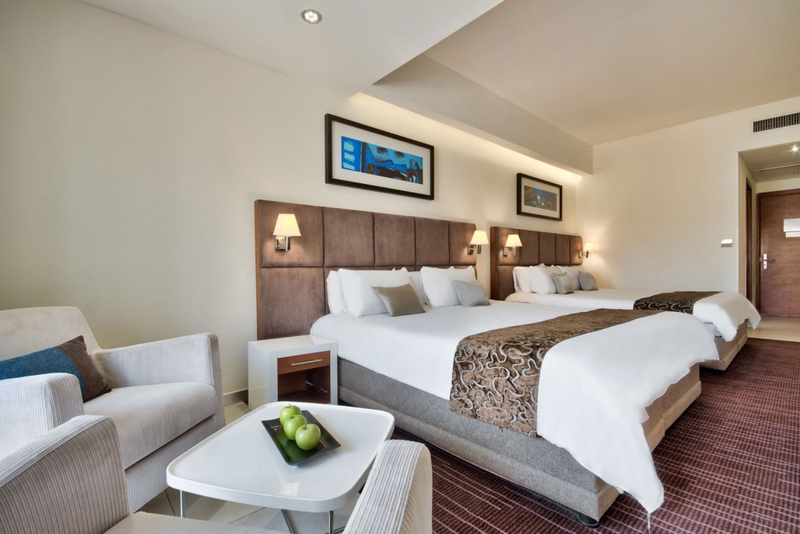 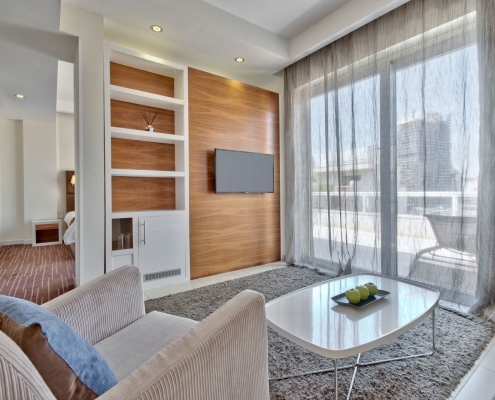 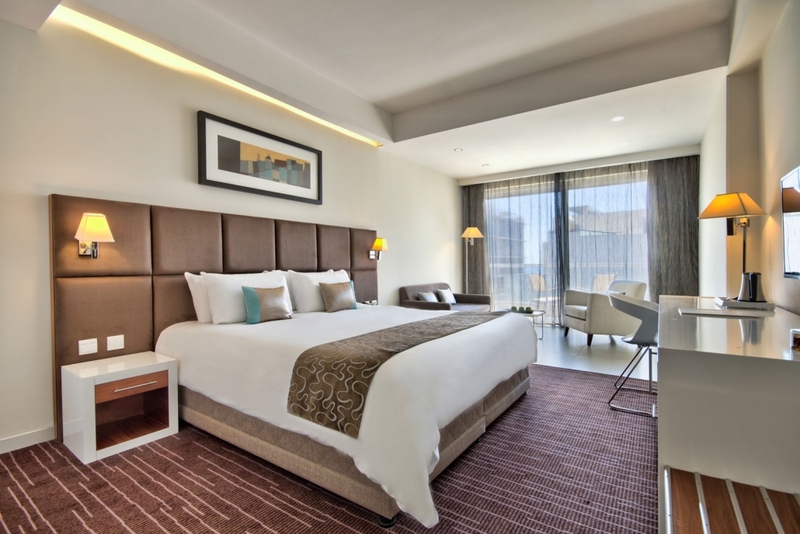 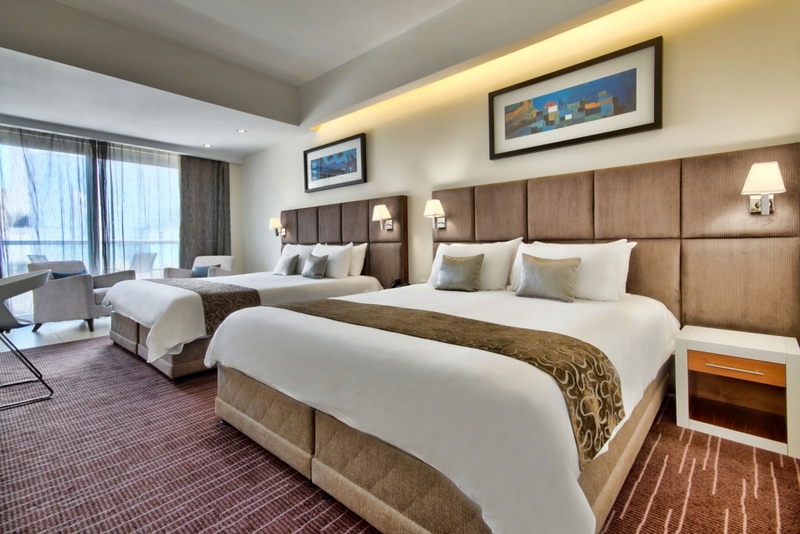 All junior suites enjoy 35 square metres of relaxing environment including a 40″ HD LCD TV. 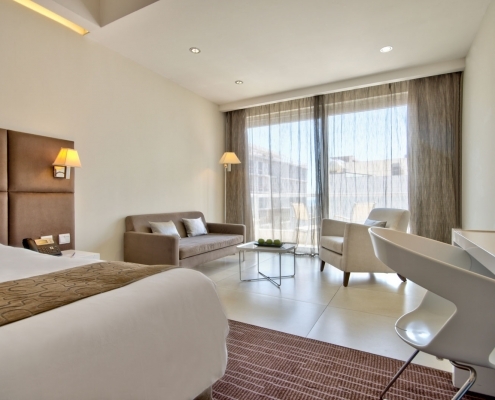 We recommend this room for: Larger rooms, no more then three persons, smokers on the balcony area only. 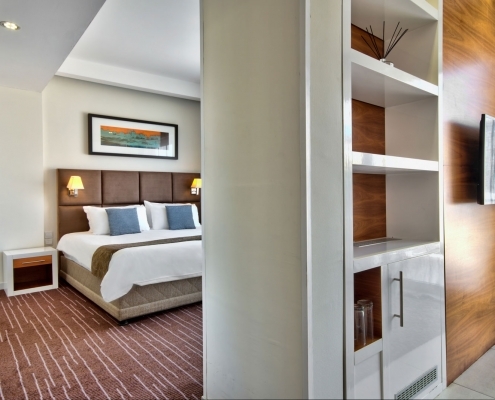 For more images of this room, please view the junior suite set on our Flickr page. 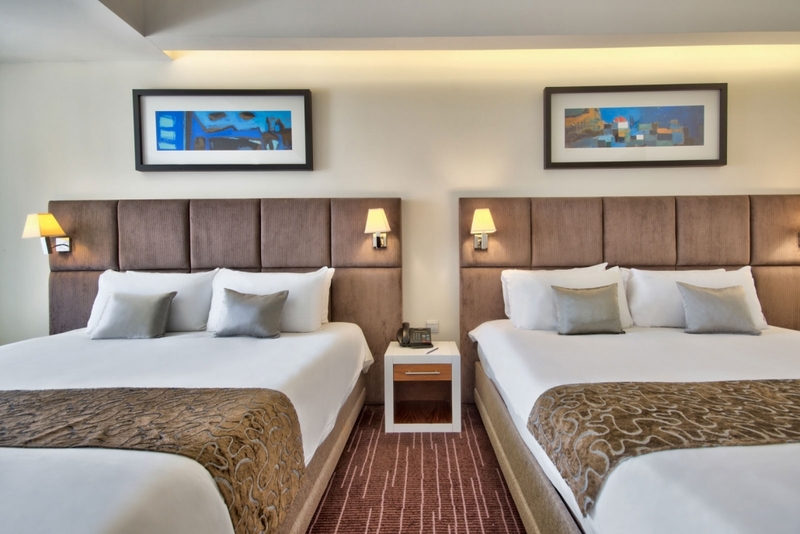 Our Deluxe rooms are equipped with two queen size beds (that may be split into four single comfortable beds) and a private balcony. 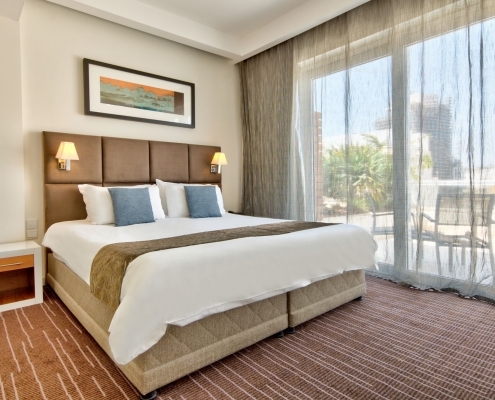 Unwind and relax whilst making the most of the Mediterranean sun and sea breeze. 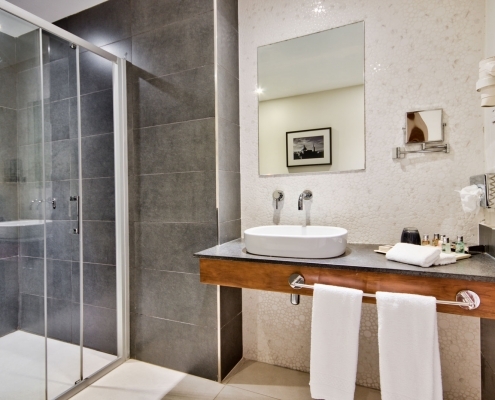 Enjoy a walk-in shower with Molton Brown amenities. 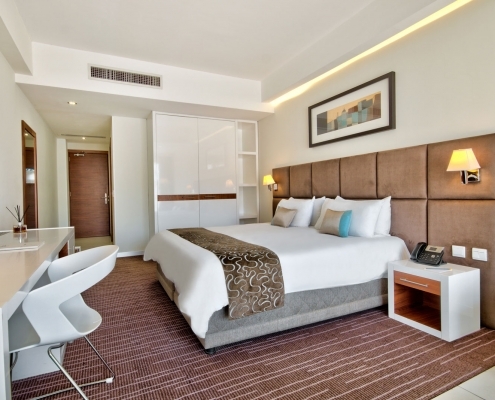 These rooms are an ideal option for families or more than 2 persons sharing. 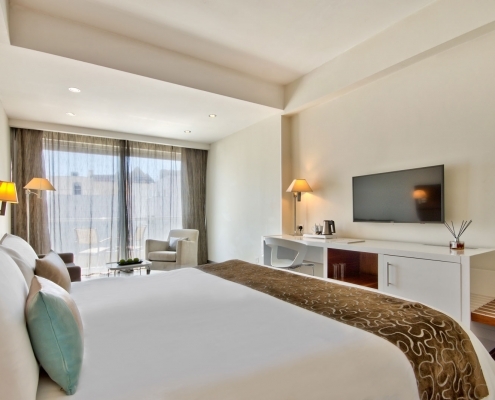 All deluxe rooms enjoy 35 square metres of relaxing environment including a 40″ HD LCD TV. 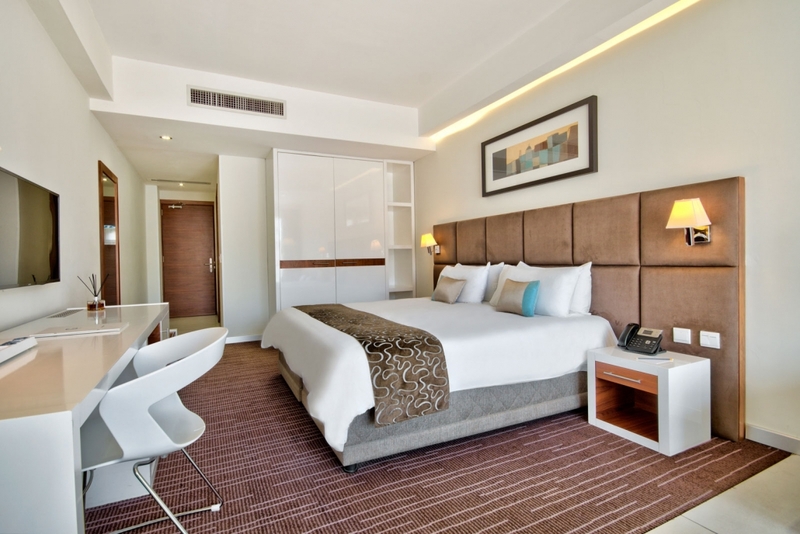 We recommend this room for: Families, more then two adults, twin beds (separate beds), balcony area, smokers (the balcony area only). 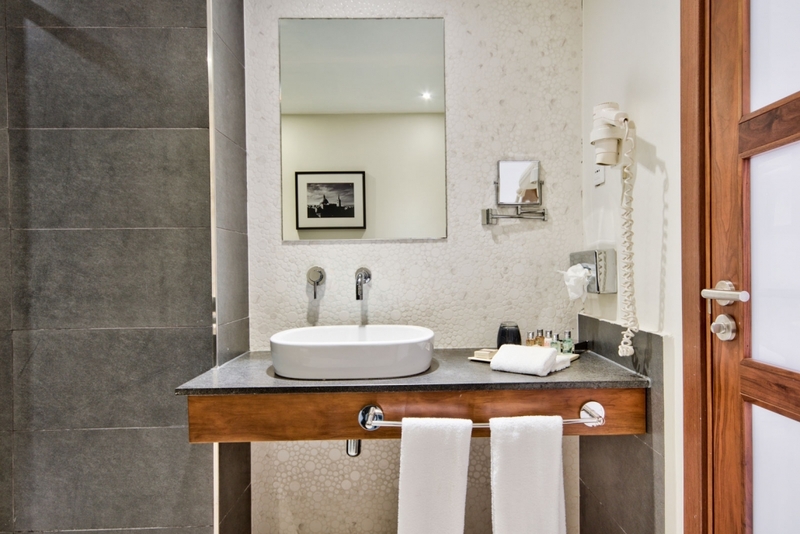 For more images of this room, please view the deluxe room set on our Flickr page. 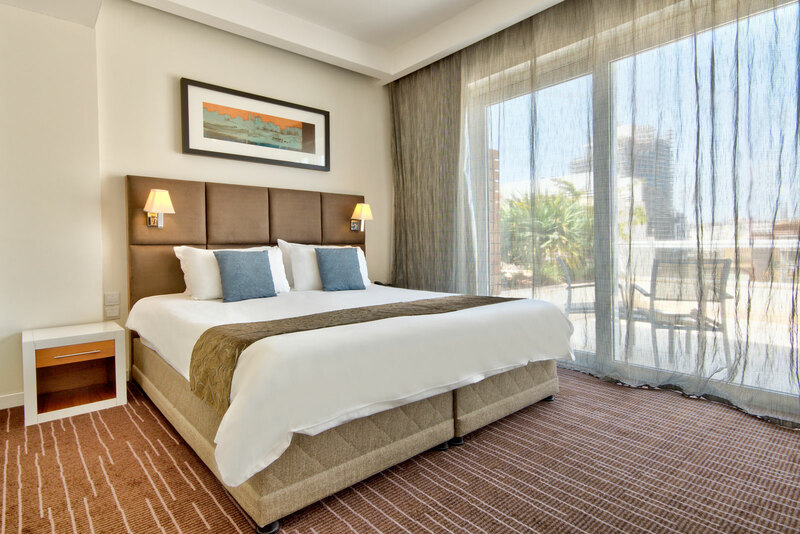 Our courtyard rooms consist of a double room with twin or queen size beds with extra-large windows overlooking the inner courtyard. 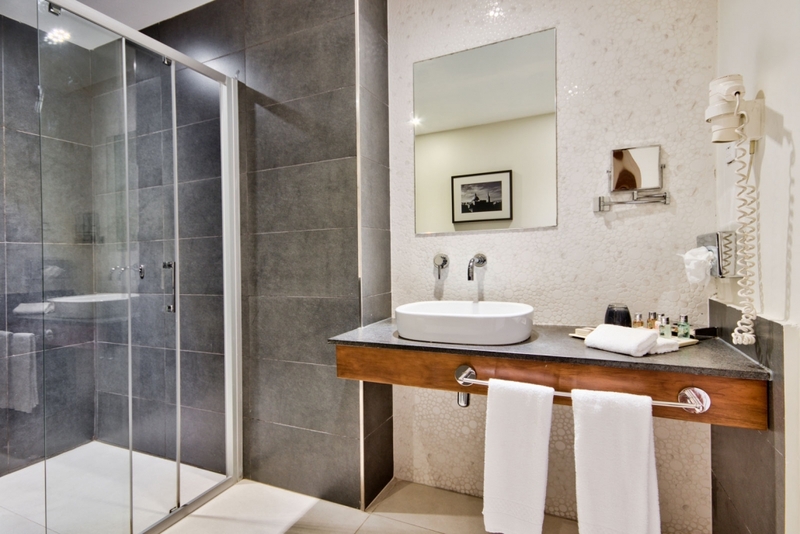 Enjoy a walk-in shower with eco-friendly amenities these rooms are an ideal option for those that want maximum tranquillity. 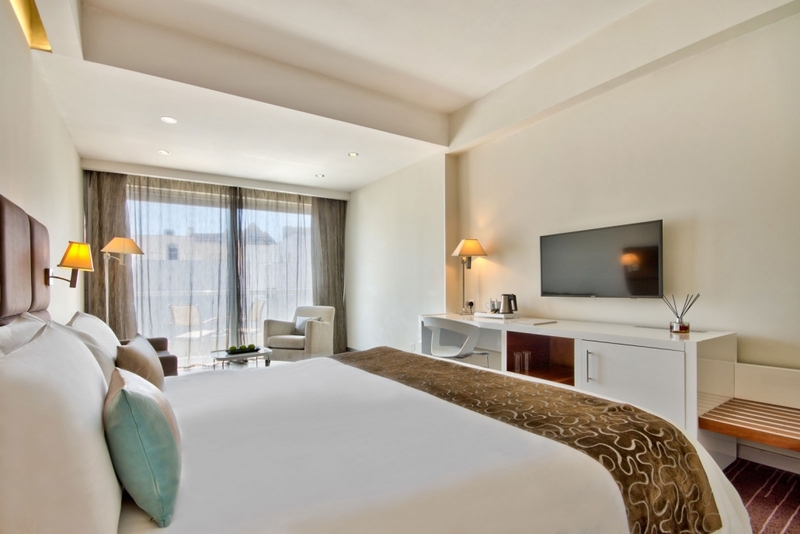 All courtyard rooms enjoy 30 square metres of relaxing environment including a 40″ HD LCD TV. 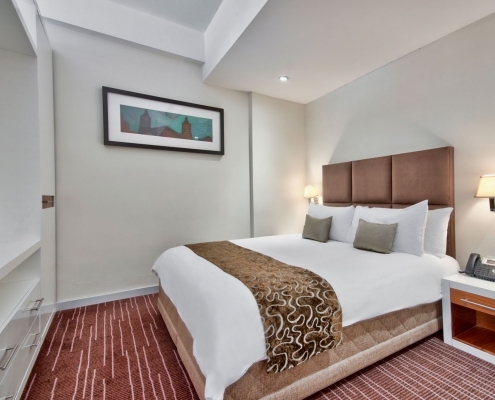 We recommend this room for: Tranquility, perfect for short stays, best value for money. 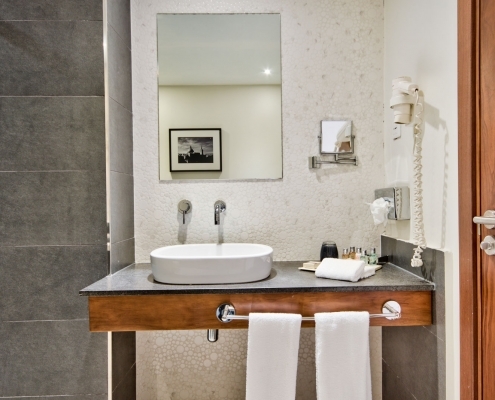 For more images of this room, please view the courtyard set on our Flickr page. 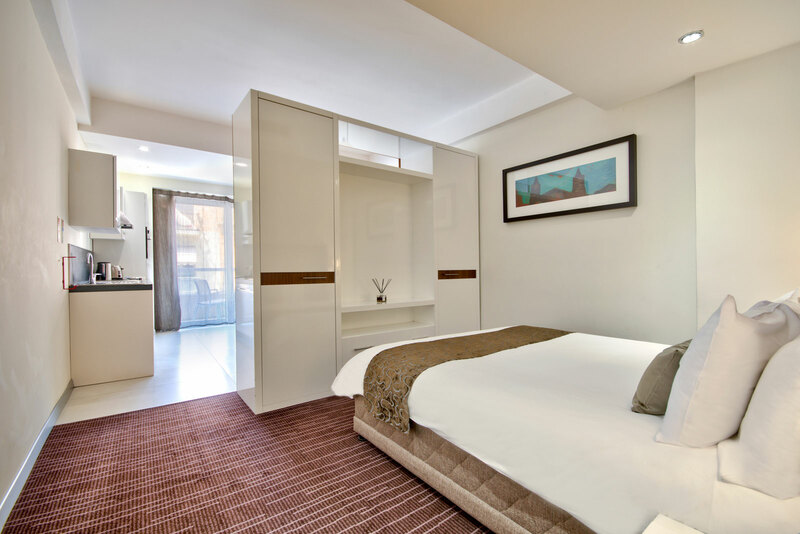 Designed for extended stays and perfect for accommodating employees or those looking to move to Malta, our 35 square metre square studios are an ideal solution for a comfortable and fully functional stay. 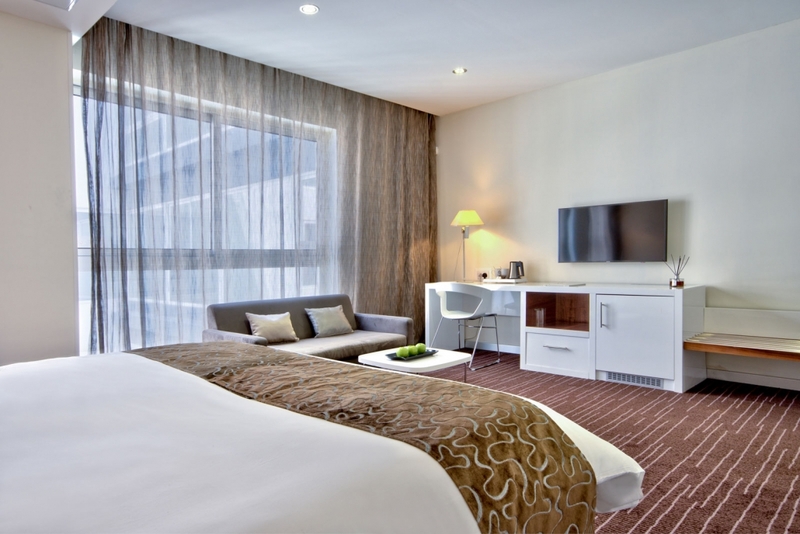 All studios reflect the hotel’s urban design plus the added benefits ensuring maximum comfort. 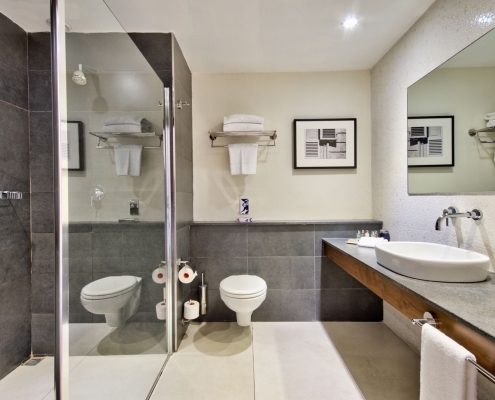 Check in and you are instantly wired up, watch satellite TV and cook your favourite dish in your private kitchen. 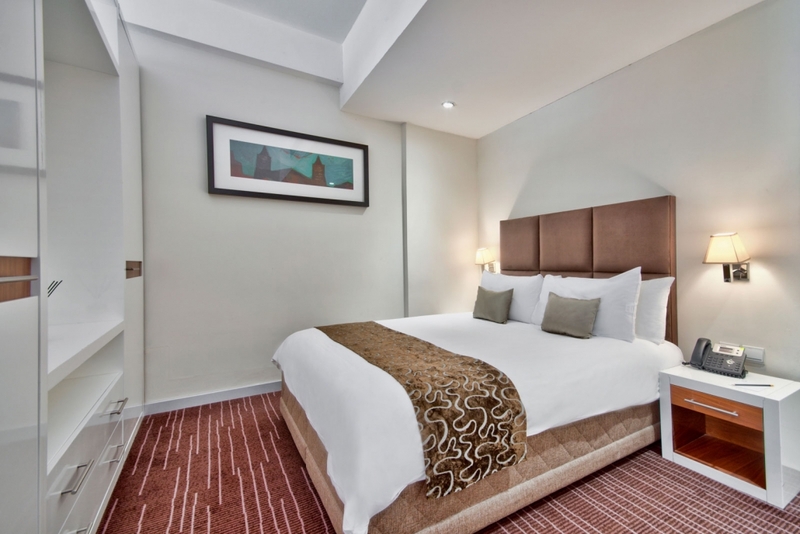 We recommend this room for: Long lets, tea/coffee making facilities, require the use of a kitchen with cooker, dishwasher and kitchen appliances. 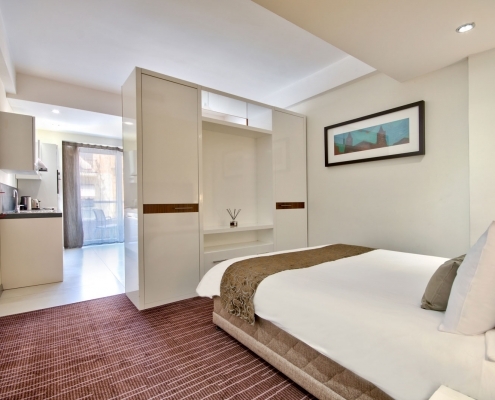 For more images of this room, please view the studio set on our Flickr page. 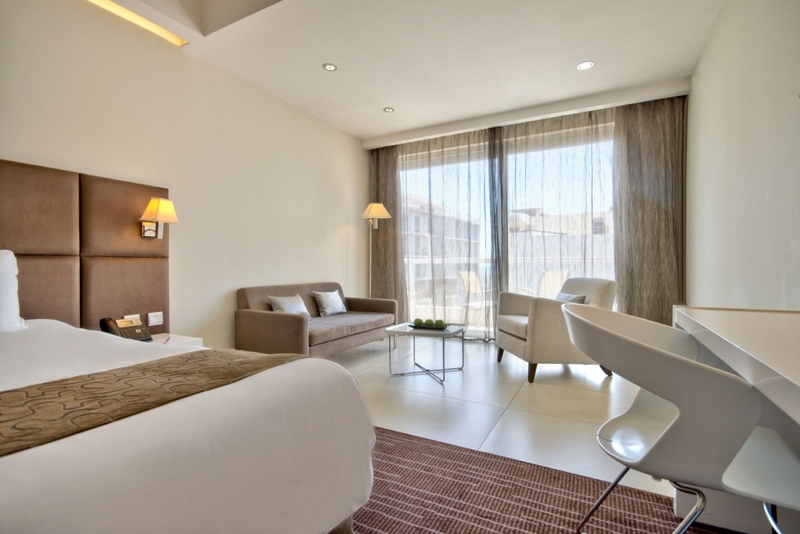 A smartly designed area allowing comfortable and spacious workspace including an ergonomically designed chair, ambient. 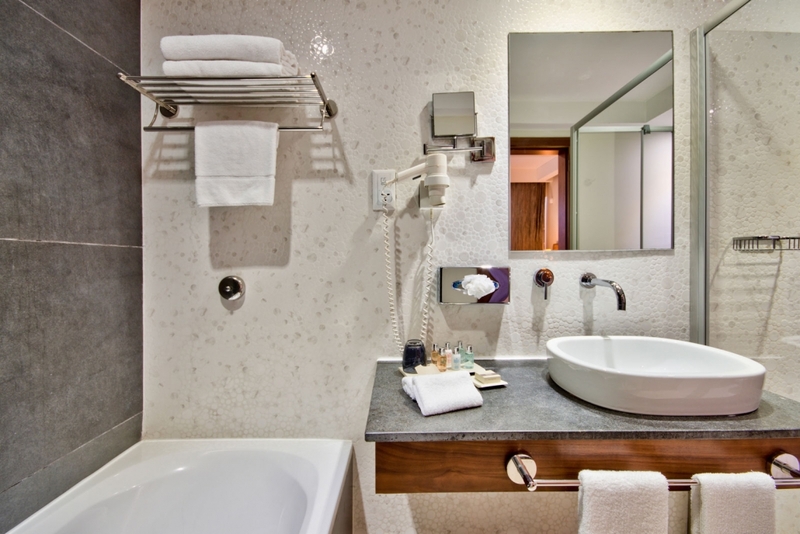 Power and data connections accessible from the desktop allowing easier access. 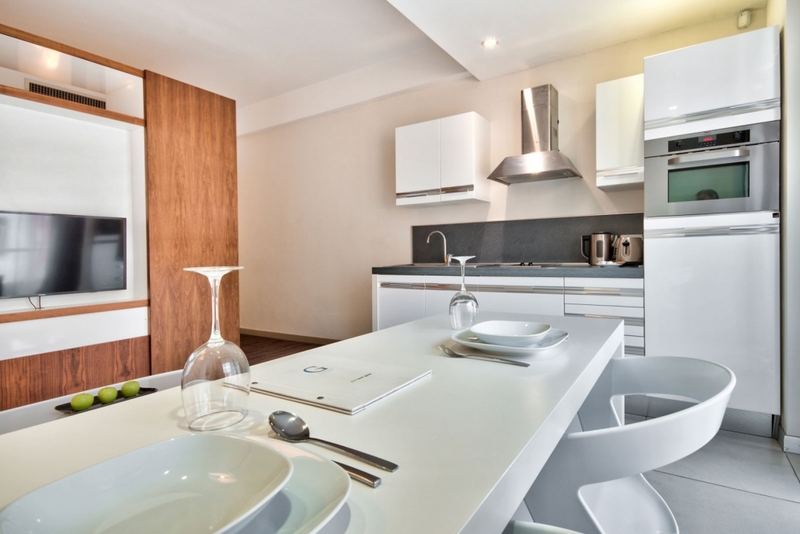 Energy-efficient appliances – refrigerator, hob, microwave and dishwasher – enable you to prepare anything from a snack to a gourmet meal. 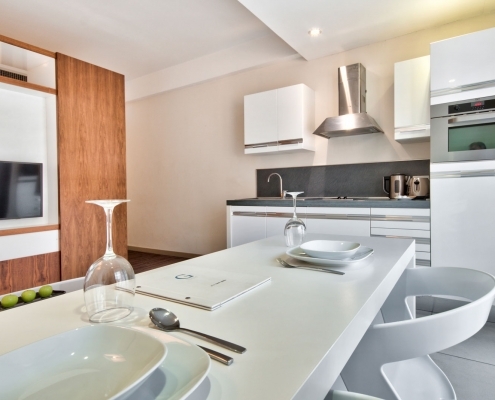 A fully stocked kitchen including all the essentials.